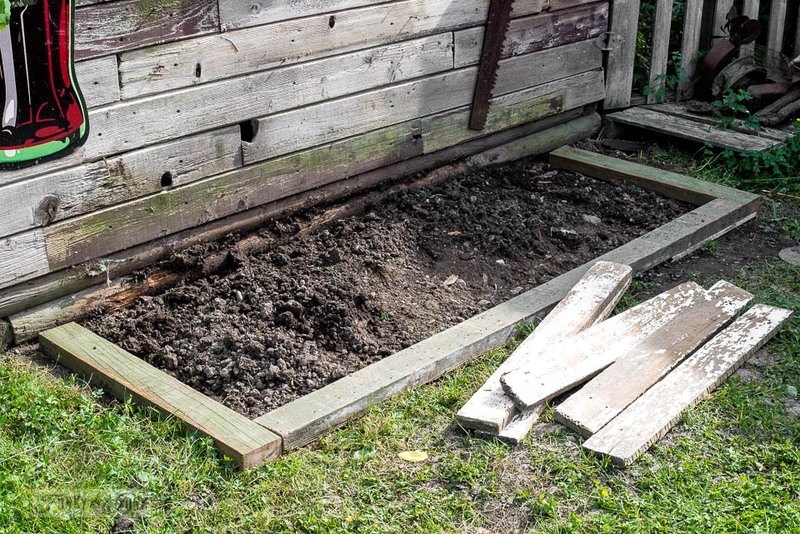 I had just removed a crumbled up flower crate along one side of the shed, and placed two sawhorses down instead… would this idea work? 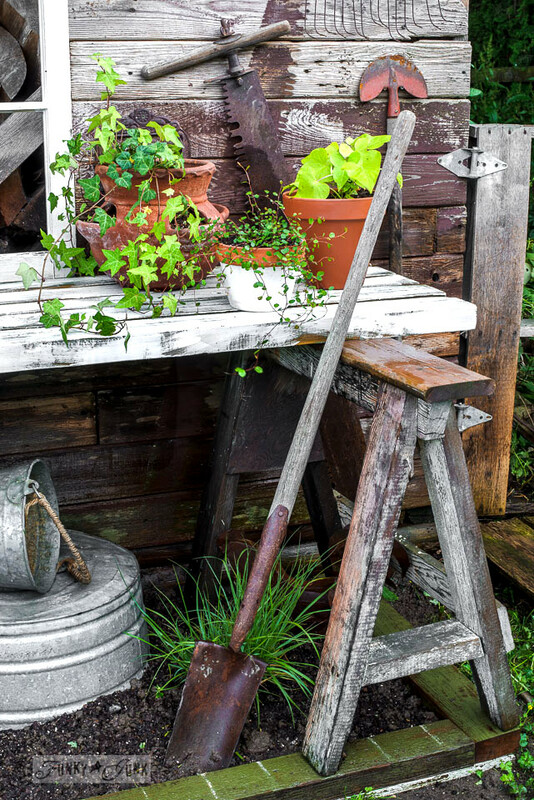 Raise your hand along with me, if you’ve always wanted a potting bench, but have never had one. Ohhhh, I’ve envied having a potting bench forever. Especially when seeing other bloggers create them. 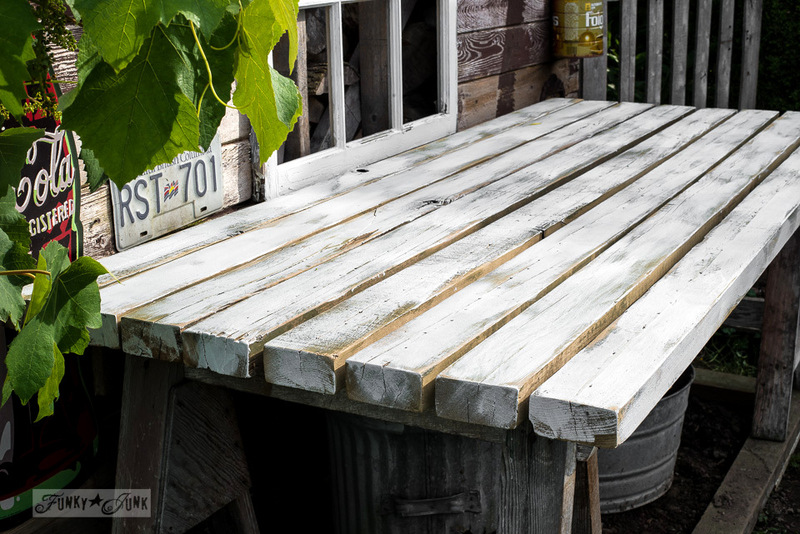 Do you most recently remember Grit Antiques’ junk styled She Shed bench? That sweet setup just made me realize, it’s not always necessary to totally build something from scratch. Just compile a buncha cool junk, and see what you get! So when this shed needed something along this wall in place of that crumbling crate… bingo. After removing the crate, a dirt patch remained. Which gave me a unique idea. Rather than create a ‘floor’, why not create a flower bed? Yes… under the bench! How fun! Rather than ‘just a potting bench’, it would also become a pretty summer flowerbed feature. I like it ALOT! So 3 boards were cut to the desired flowerbed size to scale with the sawhorse legs, levelled, then just left loosely in place. 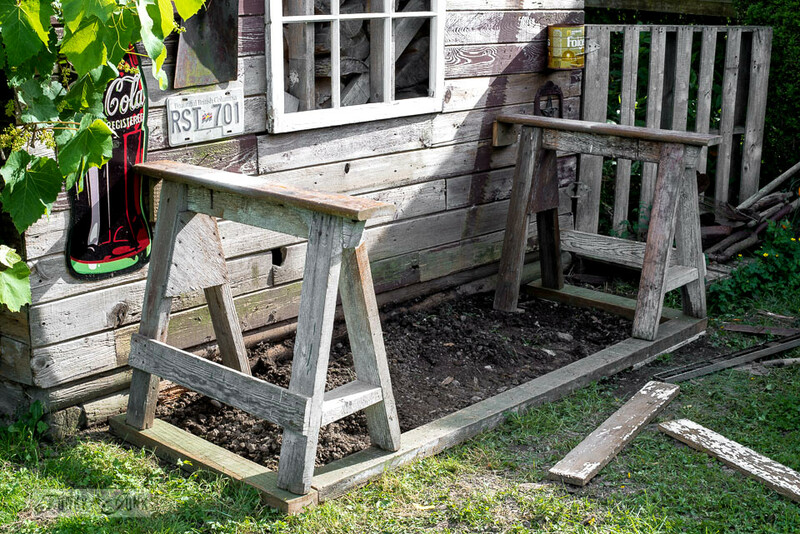 Next, the sawhorses were stabilized in two places: an added board attached to the shed helping to support the top of the sawhorse, and on the 4th leg in the soil.That would do! Keeping everything level was actually the hardest part, but crucial. I just placed the level on top of the sawhorses or boards, and worked it until I was happy. I also placed a board horizontally across the two sawhorses, to check for level. At some point, I may protect the sawhorses with a clear finish of some sort. But I also have plans to bring the works indoors during winter, so that will help avoid deterioration. Who am I kidding? I just want to make things the lazy easy way. Do you remember my pressure washing post? 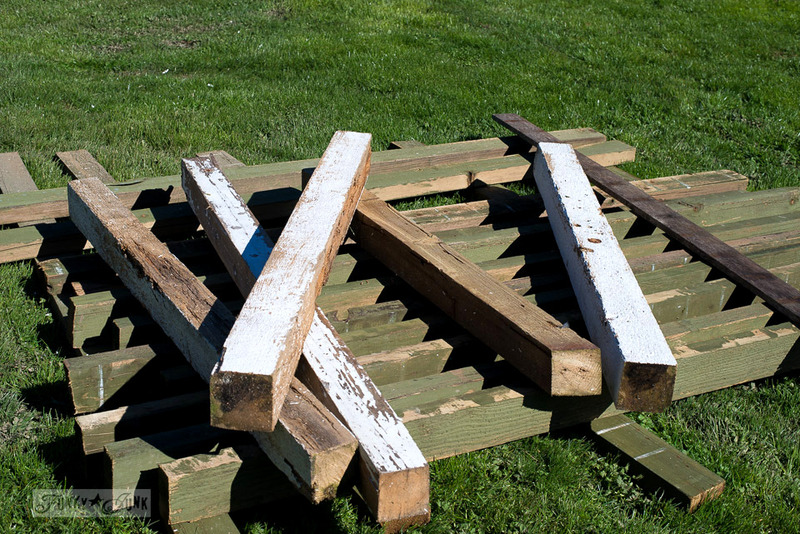 I landed these great fence boards from a neighbour down the road, and had them stored, waiting for a new job. Perfect! The boards were much heavier and heftier than a 2×4. And I’m pretty sure they’re treated, because they showed very little deterioration. Excellent choice for this idea! The boards were sanded with a palm sander, then a ‘sloppy’ coat of Fusion Mineral Paint’s Casement was added for partial coverage. Fusion is outdoor durable, so this made that task pretty much instant. 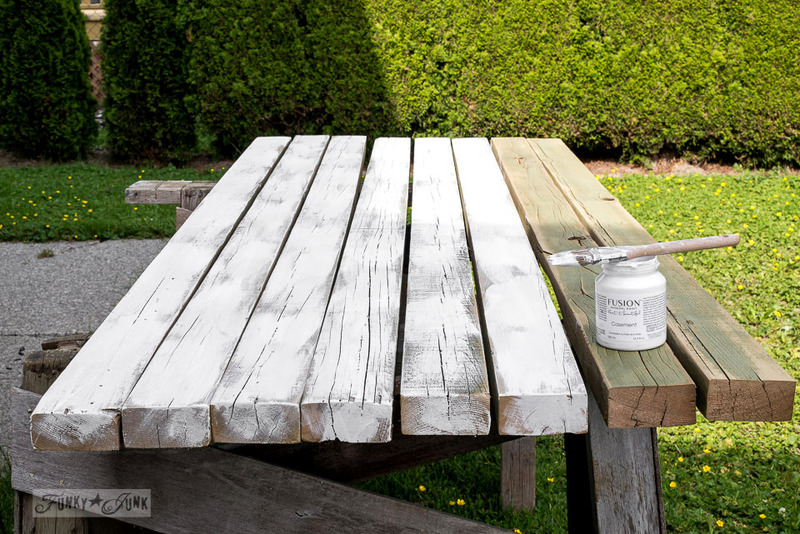 The white paint toned down the orange tone of the boards perfectly! You can read more about my own Fusion tips HERE if desired. Thank you for this paint sample, Fusion! 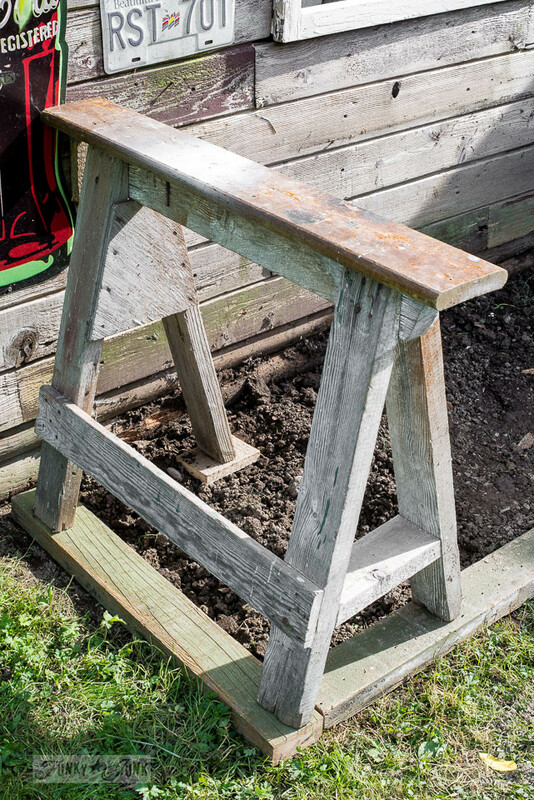 The planks were then placed loosely on top of the sawhorses, leaving small spaces in between, to allow water and soil to sift through. If I don’t want soil to fall through, they can be moved tighter for the short term. I didn’t paint the long edges between the boards, except for the very last one along the edge showing. And now I want to pot flowers! Guess I’d better go get some… what enticement. What took me so long? Next, bring on the pretty! A surprise project and full reveal is tomorrow. Here’s a peek! Can you see what I see? Who else thinks this kinda setup would work for them? Loving this workable space. I have a small outdoor potting table that I made from some wooden seed trays and 2 x 3’s we had. I love it way more than the idea of a shed. It’s in the shade right in the garden and so easy to get to. A potting station is a must and you’re going to have so much fun with this space. Carole, I love the idea of just a bench in the middle of a garden, that sounds so nature inspired! yes…my back wanted a potting bench! you have the whole awesome set-up, bet it feels good to have it lookin so cute and functional. TOTALLY! 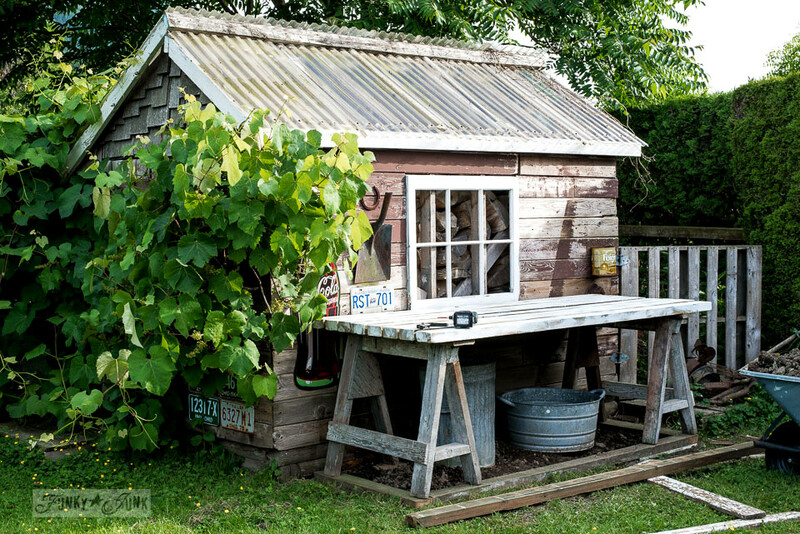 Your she-shed bench shed (LOL) is built with major presence, the mere height is the best part! Serendipity I say….what a most wonderful outcome!! !…Such a pretty and extremely functional potting bench! Thanks Shirley! Gotta love a cheap / no build build. I promise, tomorrow’s outcome will be sooooo much prettier! That is so cool, I love it. 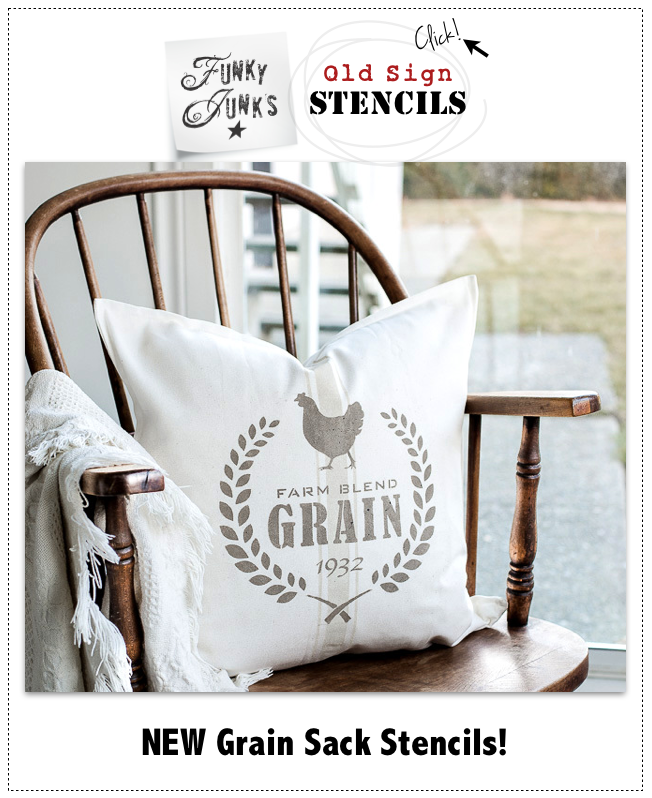 You could even stack wood crates on the far side of the window (I would not cover that beautiful sign or license plate) to make shelving, for tools and small potted plants. There are just so many things you could do with this potting bench. So simple perfect for the building challenged person like me. The planting are underneath will take it to another level, I can picture ferns with hostas and some impatience for instant color. I have always wanted a potting bench and you have just provided me with one. Thanks so much, and I can’t wait to see the finished project. Ohhh Patty, I did one of the things you suggested… tomorrow is the pretty day! And I’m SO GLAD this encouraged you to make your own potting bench! This is the best thing about collecting. I realize we only have so much room to store, but when you find a piece that really speaks to you, but don’t know why, grab it! 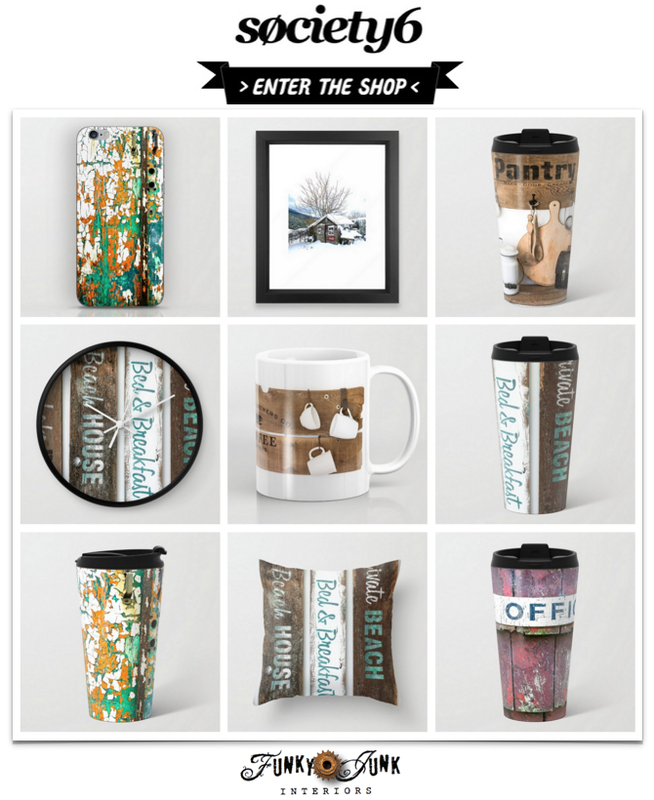 It’s like accumulating stock to work and create with. I like the potting bench, but I think you will find that it will be too dark underneath for flowers to bloom nicely, not to mention water and soil coming down on them. I am thinking some gravel down and it will be a cool place to store potting soil, pots and funky junky watering cans , spades etc. It will be interesting to see how it all works out. Love the new stencils btw.! put down for the flower bed! I just went to look at a barn today. I am dying to have my own place to mess in. Just love your shed. I have a table just like that one that my son made years ago.. I have my veggies growing on it right now..
Love this idea! My husband just brought home a set of old worn saw horses from a yard sale and now I have a plan for them. Thank you! Oh, I love the potting bench Donna! 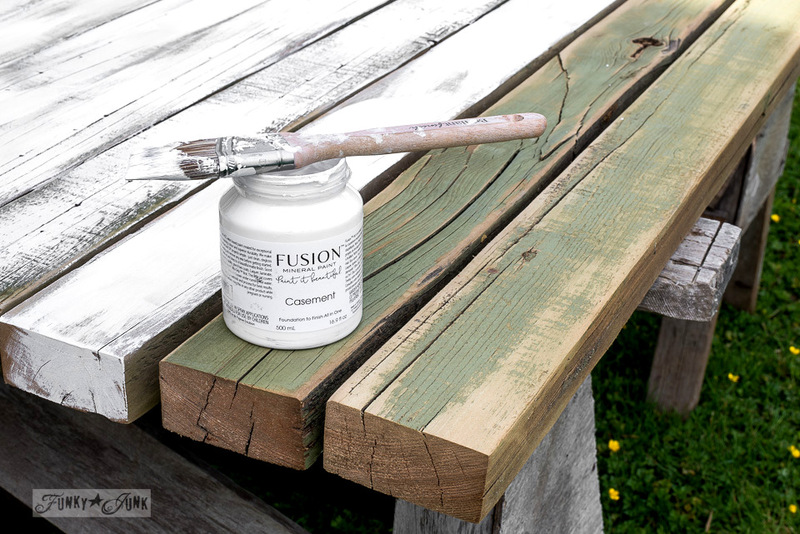 And the fusion paint looks so good on the wood. Have fun enjoying it as it surely must bring a smile to your face each time you look at it. I know it did mine! 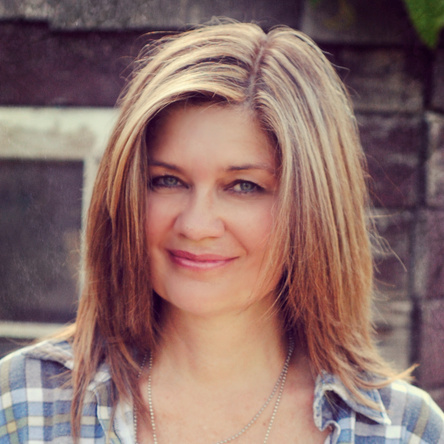 Hey Donna….so brilliant and extremely creative! So love it! 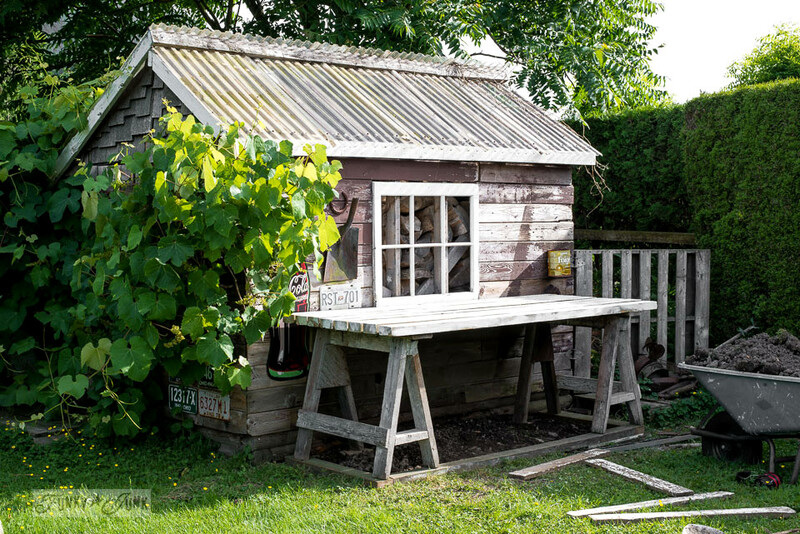 I just bought the stencils so I could spruce up my garden shed then discovered I too needed to fix several unsalvaged things along the way (-my new term – vintage yard enhancement project!) – the never ending chores (I mean fun) of it all. Thanks for such inspiration! You are amazing.